Home Basketball Pesic: "A very hostile atmosphere awaits us in Istanbul"
Pesic: "A very hostile atmosphere awaits us in Istanbul"
The coach of Barça Lassa faces with great caution the first two matches on the track of Anadolu Efes in which he will not have Kevin Séraphin, although he has traveled. 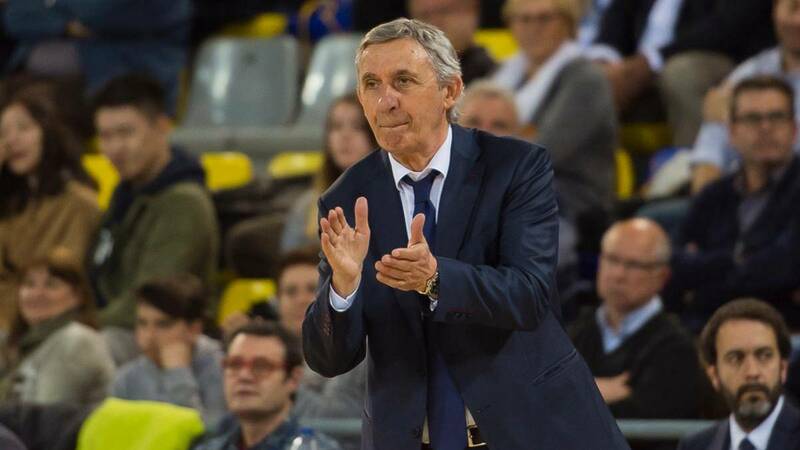 The coach of Barça Lassa, Svetislav Pesic, has warned this morning before leaving for Istanbul to play the first two games of the Euroleague quarter-final tie against Anadolu Efes, that, "in the Efes there are two important things It has changed the flag and plays in the Sinan Erdem where the 2010 World Cup was played and when a team plays at the level it does now, it has a hostile atmosphere and the team knows how to use it. " He has described as " a very complete team and can play with much continuity as it has done all year in Euroleague and Turkish league and has a great balance between attack and defense. We do not think only as we defend but defense and rebounding are basic in basketball, but we have to prepare how we attack against a very good defense like theirs ". Ha revealed On the condition of his center Kevin Séraphin has been absent for a month from the clues that, "he is a normal player, but he is not a determining player and, like other players, he has his problems and we try to help him, but he will not be ready to play the first two games of the playoff. Sobre Sindem Erdem has said that his team is ready because, "that's not new for us and last season we played there one of the best matches until today (83-107) , but now it's another situation, another template and a different atmosphere because they have a team that plays a great basketball, which motivates and excites its fans, but we also want to excite our team "
" We are not going with pressure we are prepared to endure it. There is tension, there must always be tension to concentrate and try to do our work and our game plan. At the moment, we are in the playoff and it was the first goal that has motivated us all year, p but every team that is in the playoff thinks that now is their chance to qualify for the Final Four and everyone is waiting for their moment ", he recalled Pesic. In cianto a if the key will be to win the first partday of Wednesday, has affected the matter and that for him, "the first game is important, but when the first one ends another begins and it is not that party that decides , but in the position that we are we do not want to talk much about playoff or Final Four, we have experienced players who know that taking the second step without the first is not possible. "We have our way and our game plan" . Sobre the mark to Shane Larkin (who endorsed them 37 points there) has responded that, "he is a player that is the objective of our defense but Micic, Moerman, Simon and his Americans are also .Larkin is important, eg We also have to see how we contorted the transition and the offensive rebound, because he made as many points as he did because we gave off 15 offensive rebounds and allowed too many second options. " We know how we can stop the Efes attack and how we have to control it, but also achieve fluidity in our attack, because we have to score. We are going to control the offensive rebound and then we will see how many points Larkin or Micic make, if our defense is as it should be in the domain of the rebound ", it has concluded.